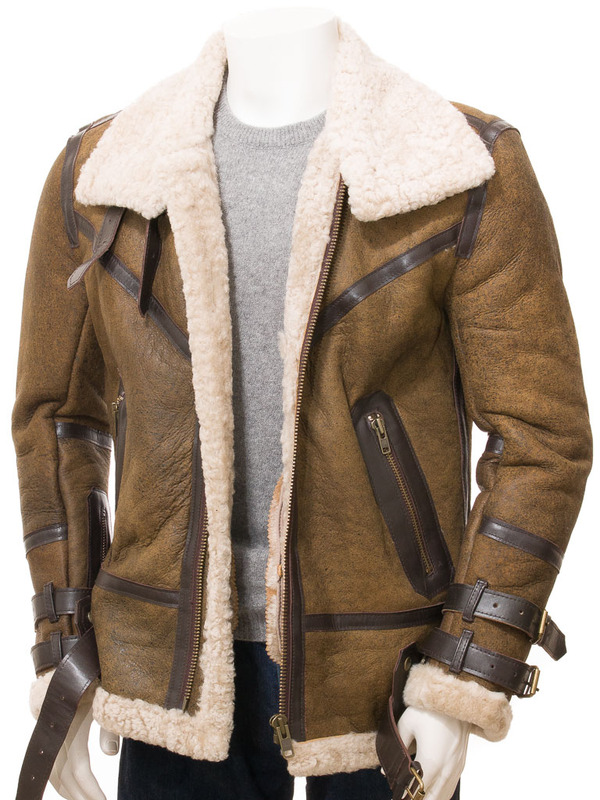 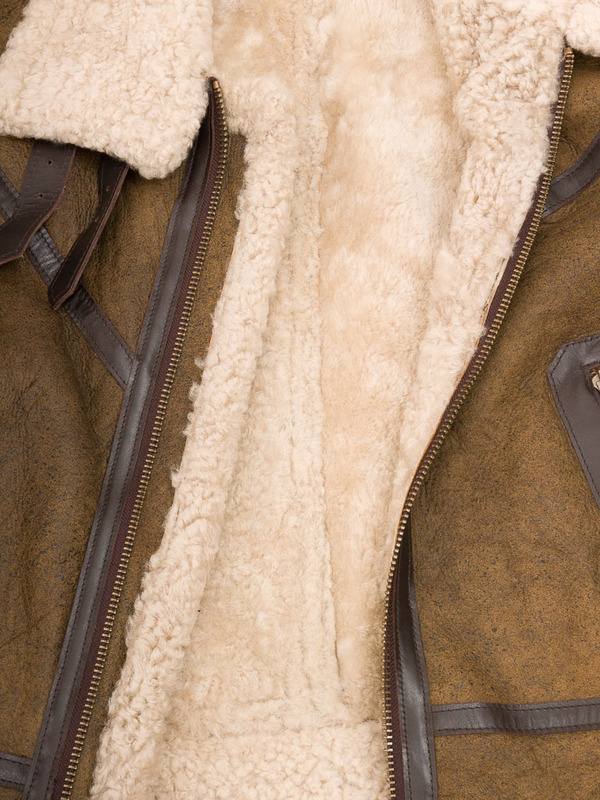 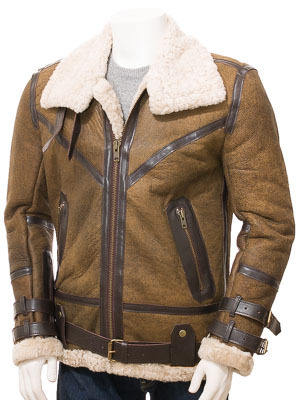 A longer length sheepskin aviator jacket in tan. 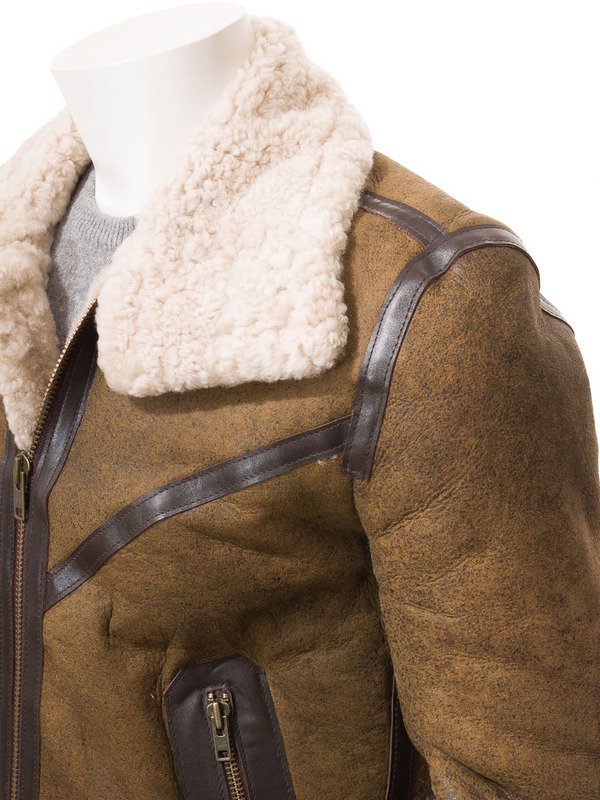 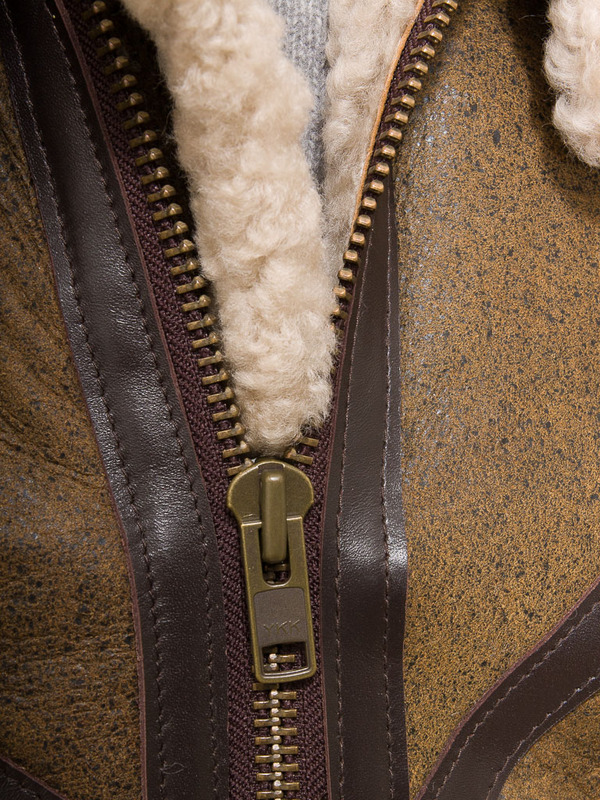 As with all genuine sheepskin jackets the cream woollen fleece side of the skin creates the lining of the jacket making it incredibly warm and comfortable to wear. 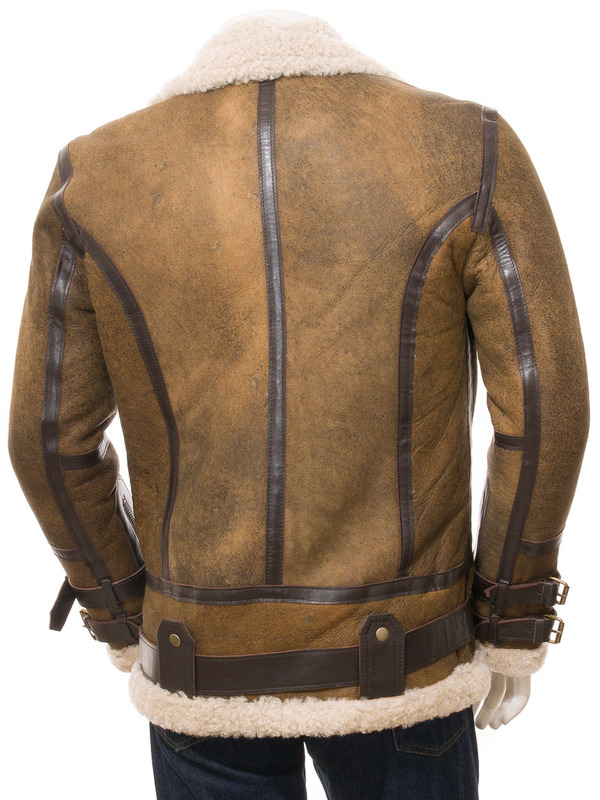 The underside of the skin is then the tough exterior of the jacket.